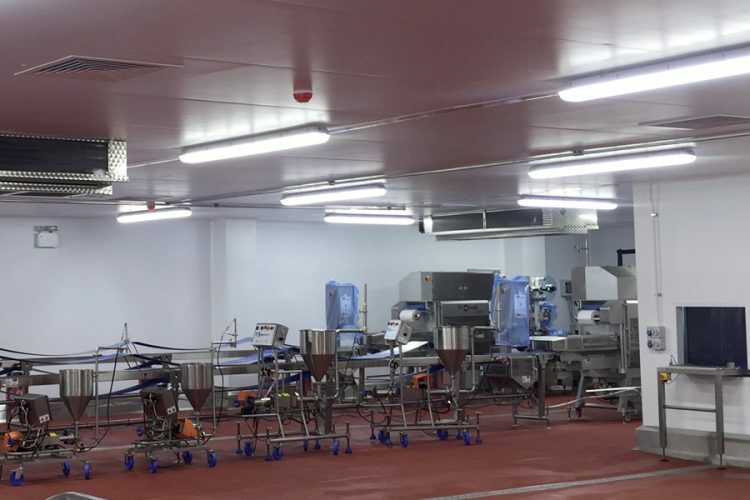 Bakkavor Desserts employed the services of Wesco Systems Ltd to provide mechanical and electrical services to a new production facility within an existing unit for a new specialist dessert line. Due to the high specification from the end customer, Wesco worked closely with the project administrators and designers to value engineer a modern, efficient and hygienic services system. A new LV panel board and sub-main system were required to accommodate the new facility’s production areas. Additional challenges included connecting onto the plants existing hot water, cold water, softened water, chilled water, steam and compressed air services, all of which required new points of isolation or double isolation to allow further works to be carried out without future disruptions to production elsewhere. New services were subsequently installed to serve the storage, preparation, production and packaging of the new facility’s product and hygiene services that go hand in hand with this nature of industry. 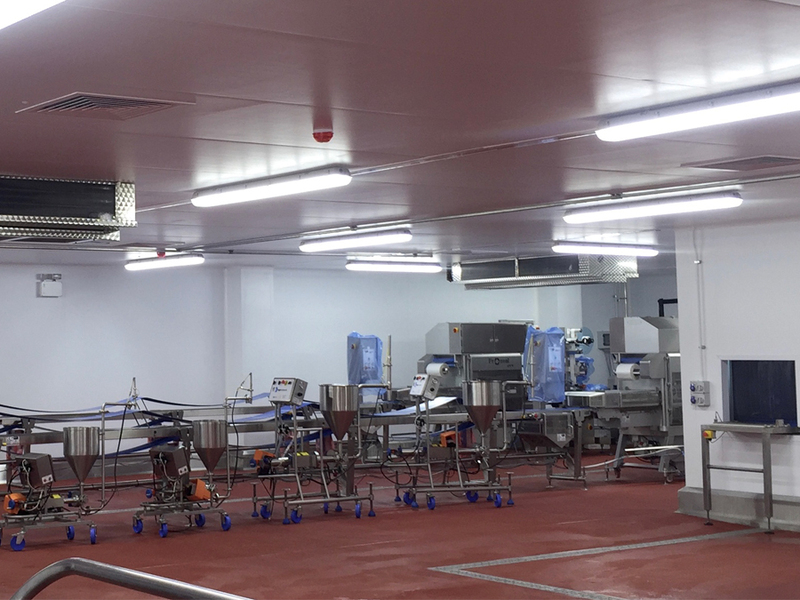 Stainless steel conduit, cable management and piped services were used throughout and a new high efficiency LED lighting and emergency lighting system were designed, supplied and installed by Wesco engineers and fitters. In addition, Wesco provided fire protection to the entire new facility. A new ventilation system was designed and installed to serve both high and low risk production areas. Wesco re-located, supported and re-furbished previously discarded air handling units and fitted new filtration systems and inverters to maintain efficiency and performance whilst saving on the cost of new units. New hot water calorifiers for Tall Ship Pelican of London. With over 40 years’ combined experience in the building services industry, our high standards of workmanship and excellent customer service are renowned throughout the area. We offer a comprehensive range of electrical and mechanical services to industrial and commercial customers in the South West and further afield. We also have a domestic department assisting homeowners within the local area. We know that you want to work with a specialist and someone that understands you job inside out. We offer bespoke services to suit all our customers to ensure you always get an adaptable service to suit your environment.